Dog bites and attacks have become sensationalized by our media crazed society. We are more aware, which is a very good thing but like anything that has become sensationalized it gives occasion for some people to use the system for their benefit. I can’t even believe that I’m writing about this but it’s real and we need to pay attention. We are living in a litigious culture and it pains me when I see malicious people tormenting dogs for the sake of a law suit. The horse could be a person, too. 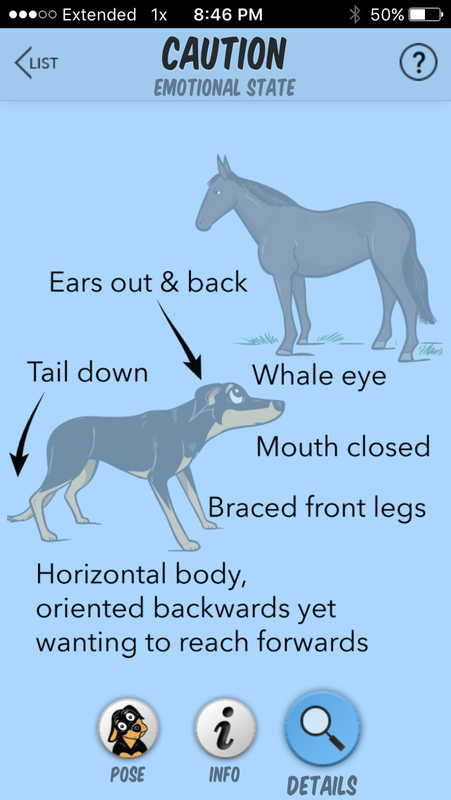 When a dog is confused they show signs of caution like Diamond, the star of Dog Decoder. A couple of weeks ago, I was at a gathering of protesters, protesting puppy mills in southern California. In a conversation with a protester, I was surprised to hear that her housemate was trying to incite her dog to bite her, so she could file a lawsuit against her. What’s wrong with people? The dog would just have to bite a little, not a lot or even just attack without a bite for the person to file a lawsuit. She would come into the house with her dog and the housemate would start to act out in ways that were confusing to the dog because previously, she had been very friendly, but now acting in ways that frighten the dog, in her own home. We know that behavior deteriorates under stress. Can you imagine the confusion and fear this dog is facing in her own home on a daily basis? We all read about breed specific legislation, yet it’s got nothing to do with breed and everything to do with how a dog is raised and treated. One bad incident that scares a dog can be all it takes for a dog to bite. Dogs bite out of fear, many experts agree and why we need to make sure that our dogs have positive experiences with people, especially with those we live with. The question of liability comes to mind when a dog is incited to bite. If the dog has no previous history of a bite, has not been deemed a ‘vicious’ or ‘dangerous’ dog, then provocation becomes an important factual issue in any dog bite lawsuit. I remember as a child growing up on Long Island, NY there were always kids who would torment a white German Shepherd dog at his fence line. This dog, when on walks was the scariest thing I can remember, when walking home from school. When he saw kids he became a lunatic on the leash, barking and lunging at us as we walked by. Of course, he would behave this way. He was provoked on a daily basis and he hated kids. Why wouldn’t he? Provocation doesn’t have to be big in its manifestation. A dog can be provoked just by directly staring at them, assuming a big posture, without any movement or sound. We all remember this video below, with Cesar Millan puffing out his chest staring at Holly?! If a dog is provoked long enough, they can bite. Any dog; a 1o pound dog or a 100 pound dog can bite when provoked. Dogs first language is body language and they are brilliant at reading body language, not only within their own species but studies show they can read the emotions of humans. So, if a person is provoking your dog silently, but with mal-intent, you can be certain, your dog knows this person is not to be trusted. Please pay attention to who is interacting with your dog. Holly never bit anyone before she bit Millan. Millan was called, because she was beginning to resource guard her food while she was eating. Holly was provoked to bite. Using aversive training methods like this caused her to bite. But be aware that not only large gestures can provoke a dog to bite, lurking, standing still and staring a dog down can also provoke a dog to bite. Trust is key when raising dogs. As their advocates, it’s our duty to ensure that they are safe in their home and out and about in their world and of course that means that we need to learn how to speak dog and you can do that with the Dog Decoder smartphone app. Get yours now.